When I left New York eight days ago, there was a foot of snow on the ground. What a difference a week makes. 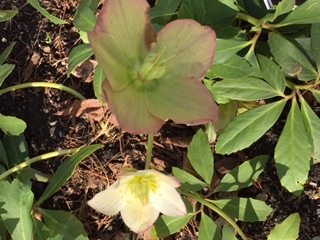 Not only has all the snow disappeared, but signs of spring abound. It is positively thrilling. This anticipation of my favorite season sends shivers through my body. I’m giddy with spring fever. After traveling for almost a whole day, enduring cramped quarters, stale air, airline food, blocked ears and total lack of sleep, I needed a real shot of nature to banish the fatigue. 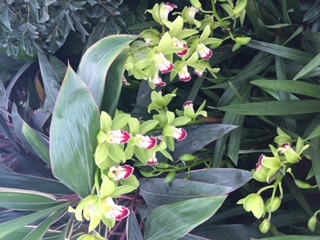 So directly from the airport, I went to the New York Botanical Gardens. The Orchid Show was on and I was in desperate need of flower power. The sunshine and open space felt healing as I made my way to the conservatory. 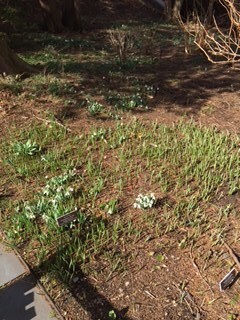 My tradition is to go through the perennial gardens and as I did so, I spied the first snowdrops of the year. Oh joy! Early crocuses stood poised to imminently open their diminutive goblets while the hellebores, as usual, had heralded the parade. They were in full bloom mode. Stems of shrubs still denuded of foliage had begun showing color as though they were slowly sipping from underground vats of dye. Taking in all these signs of rebirth and renewal made me feel so alive. And with that shot in the arm, I stepped into the conservatory. 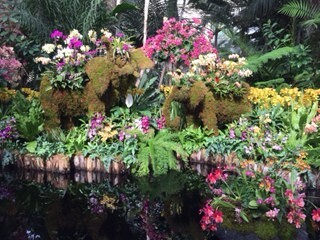 The theme of the orchid show this year is Thailand. And it delivered beautifully. 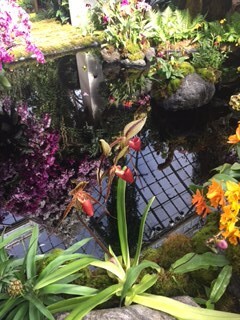 The natural humidity and warmth of the conservatory lent a very appropriate element to set the stage. The background music, the bright colors, the elephant motifs, the shrines and the very flowers themselves transported one to another place. For one just released from an airplane, this felt ideal. If only real travel could be this blissfully simple. At such a show, it didn’t matter if the orchids on display were all originally from Thailand or not. It was the overall atmosphere they conveyed that mattered. I enjoyed it thoroughly. It is the perfect antidote to all kinds of fatigue – from winter blues, to daily news of hate crimes and divisiveness, to rising anxiety to long journeys. A little respite, an brief escape, a shift in perspective can work wonders. 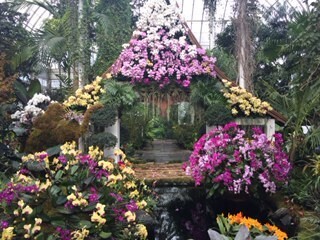 Do go to this show or, if you do not live anywhere near the NYBG, go to the nearest botanical garden as most have a conservatory with a collection that is sure to delight. 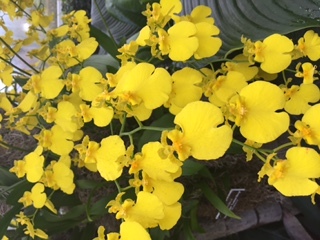 And if you do not have even that option, get yourself an orchid or two from the local nursery, make or order in a Thai meal (or any exotic cuisine of your choice), dress for the occasion in something colorful, get a playlist of suitable music piped in and take yourself on a fun trip of your own. I promise you’ll have a great time. 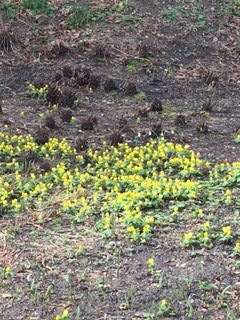 Spring is breaking out! Note: I’ve written about my most recent visit with the children at Mukta Jeevan. They are my reason to hope, serve and make a difference. You can read about the visit here. 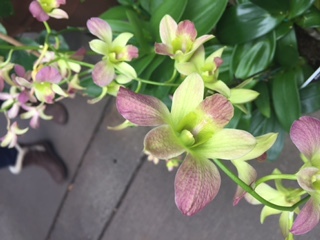 And now, enjoy the photos of orchids and all things spring! This entry was posted in All Gods Creatures, Move It, Seasons Greetings, Your Garden and the Globe by pgbundil. Bookmark the permalink.